This attractive 66-pound contemporary umbrella base is a great way to dress up your patio, deck or dock area at a very affordable price. Crafted from impact and weather-resistant blended poly resin, this base won't rust or crack. 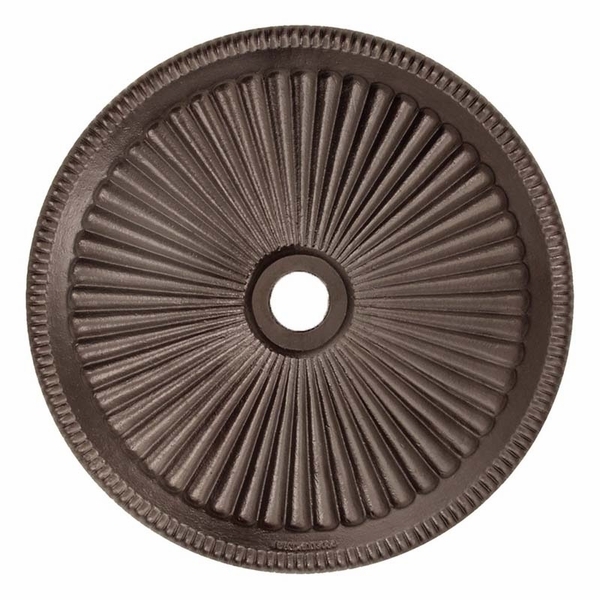 Base features a brown textured corrosion-resistant finish that will never need to be repainted. The powder-coated dual piece 17.5-in stem design allows quick easy assembly and adjustment to either free-standing or thru-table applications. 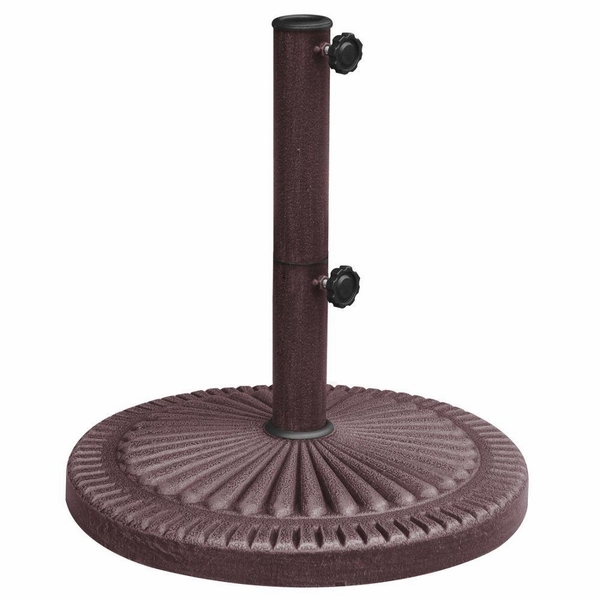 Accommodates umbrella poles up to 1.625-inch/4.14 centimeters diameter. An affordable alternative to more expensive metal base designs! This base features comfort grip threaded anchoring knobs for superior holding strength, no matter the weather.